The British government has confirmed the authenticity of official documents of 1984 that say a Special Services (SAS) adviser was sent to New Delhi to offer military advice before the storming of the Golden Temple that year. 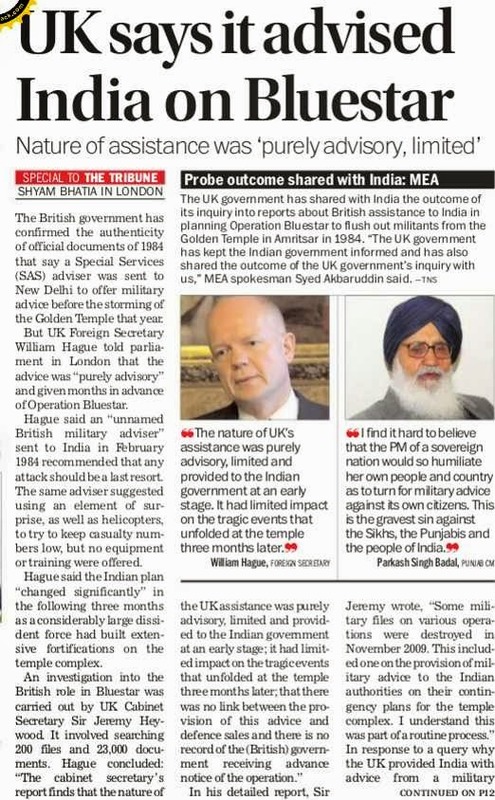 But UK Foreign Secretary William Hague told parliament in London that the advice was “purely advisory” and given months in advance of the Operation Bluestar. Hague said an “unnamed British military adviser” sent to India in February 1984 recommended that any attack should be a last resort. The same adviser suggested using an element of surprise, as well as helicopters, to try to keep casualty numbers low, but no equipment or training were offered. Hague said the Indian plan “changed significantly” in the following three months as a considerably large dissident force had built extensive fortifications on the temple complex. In response to another query about the nature of the military advice offered, Sir Jeremy’s report states, “The UK military adviser was in India between February 8 and 17 and conducted a ground recce of the temple complex with the Indian Special Group. This was before-and unrelated to-the exchange of fire between the Indian security forces and the occupiers of the temple complex that started on February 17. Former Supreme Court Judge Ashok Kumar Mathur will head the Seventh Pay Commission, which will revise salaries of over 50 lakh Central Government employees and remuneration of 30 lakh pensioners. “The Prime Minister has approved the composition of the 7th Central Pay Commission,” the Finance Ministry said in a statement on Tuesday. The announcement for composition of the commission comes ahead of imposition of model conduct which will come into force once the schedule for the general election due in April-May is notified. The retired Supreme Court Judge, who had also headed the Armed Forces Tribunal, has been appointed chairman of the Commission. The Commission has been mandated to submit its report in two years time and its recommendations would be implemented from January 1, 2016. The other members of the Commission, include, Oil Secretary Vivek Rae (full time Member), NIPFP Director Rathin Roy (part-time Member) and OSD in Expenditure Department Meena Agarwal (Secretary). In September 2013, the Prime Minister had approved setting up of the 7th Pay Commission. The recommendations of the commission will benefit around 50 lakh Central Government employees, including those in defence and railways, and 30 lakh pensioners. The government constitutes the commission every 10 years to revise the pay scales of its employees and often these are adopted by states after some modification. New Delhi, Feb. 4: The Tatas and the Mahindras will square off with one another for Indian Army’s Rs 2,000-crore order for about 20,000 station wagons tailored specifically to the needs of the military. The army held rigorous trials of the variants of Tata Safari Storme and Mahindra Scorpio in the deserts of Rajasthan and eastern Himalayas in Sikkim. It is expected to announce its preferred vehicle and place the order later this year. The entire army will use the new vehicle, which will replace their current fleet of Gypsies and Mahindra Jeeps. The Tatas are tipped to be leading the race, but the deal could be split given the huge size of the order. Indian Army wants the vehicle to have a 120-brake-horse-power diesel engine in line with the rest of its fleet and be fuel-efficient. The 1960’s Nissan Jonga, which was the army “motorised horse” before it bought Gypsies and Mahindra jeeps in the 1980s, has remained a favourite with the force for its ruggedness and ability to function in difficult terrain. However, the army has now split its requirement into three — a station wagon, which will be a basic people mover, a light armoured specialist vehicle that can have weapons such as a machine gun mounted on it and a light-armoured multi-role vehicle, which will have a blast-proof underbelly to protect it from mines. The Mahindras will also be bidding for the second category — a 4-5-tonne light specialist vehicle — for which a tender is expected in March this year. The Mahindras will use the Axe platform for the vehicle. Col. Sukhvinder Hayer (retd), senior general manager of Mahindra Defence Land Systems, said, “We have developed our own vehicle for this category and it will be competing with the Tatas here.” The market for the various kinds of specialist vehicles required by Indian Army is estimated to be worth $10 billion. A version of the light specialist vehicle will be made bullet-proof for para-military duties. The Tatas have developed for the military market a light armoured military vehicle, which can at top gear run at 105 kmph and has under-hull blast protection from mines and light armour. 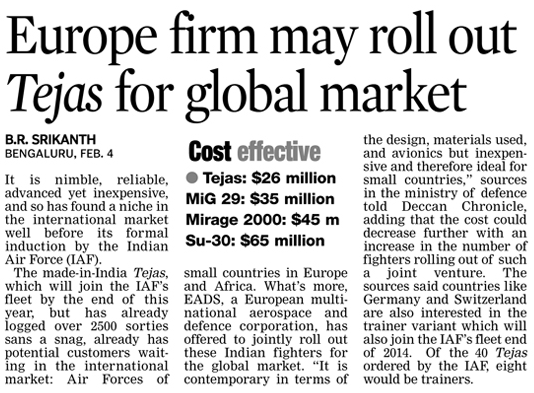 The Tatas are also eyeing exports to the armies of Afghanistan, Nepal, Uganda, Tanzania, Bangladesh and Sri Lanka. “We have been exporting about Rs 100 crore worth of vehicles to foreign defence forces out of sales worth Rs 1,000 crore annually … we have also received orders for a UN peace keeping force,” said Vernon Noronha, VP of Tata Motors’ defence business division. Britain provided highly detailed advice to the Indian authorities on launching a helicopter-borne SAS-style operation to seize the Golden Temple in Amritsar in 1984, an official inquiry has confirmed. But in a statement to MPs, William Hague indicated that the advice was ignored by the Indian army, which launched a ground assault with no element of surprise, causing a heavy loss of life. The foreign secretary outlined the advice provided by Britain as he published the findings of an official inquiry, conducted by the cabinet secretary, Sir Jeremy Heywood, into the inadvertent publication of official papers from 1984. The papers showed that the government of Margaret Thatcher agreed to a request from the Indian intelligence co-ordinator to send an SAS officer to Delhi to advise the Indian government on the expulsion of militants from the temple. Heywood searched around 200 files, which included more than 23,000 documents, covering the period December 1983 to June 1984. But some documents were destroyed in 2009 as part of a process that allows the Ministry of Defence to review files after 25 years. The cabinet secretary published details from five extra documents and interviewed former foreign secretaries Lord Howe of Aberavon and Lord Brittan of Spennithorne as well as Margaret Thatcher's former private secretary, Lord Butler of Brockwell. There were shouts of "shame" from the Tory benches when John McDonnell, the Labour MP for Hayes and Harlington, said that Britain should apologise because it had been willing to provide military support to "desecrate" the holiest site in the Sikh faith. Hague accused McDonnell of a "wild distortion" as he pointed out that the SAS officer, who was sent to India in February 1984, had provided advice to the Indian intelligence services and its special group with the aim of minimising casualties. This was ignored when the Indian army took charge of Operation Blue Star – the storming of the Golden Temple – in June of that year. The foreign secretary told MPs: "The adviser's assessment made clear that a military operation should only be put into effect as a last resort, when all attempts at negotiation had failed. It recommended including in any operation an element of surprise and the use of helicopter-borne forces, in the interests of reducing casualties and bringing about a swift resolution." An analysis, conducted by the British military for Heywood, concluded that the eventual operation was carried out by the Indian army in June 1984 in a wholly different way. 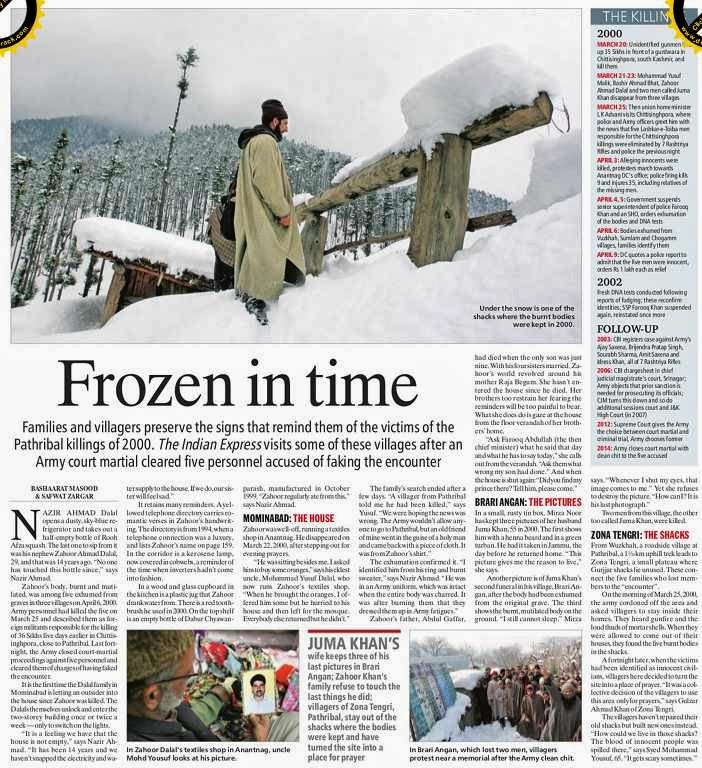 By the summer, by which time the militants had strengthened their position in the temple complex, the Indian special forces had been replaced by the Indian army. Hague said: "Operation Blue Star was a ground assault, without the element of surprise, and without a helicopter-borne element. The cabinet secretary's report therefore concludes that the UK military officer's advice had limited impact on Operation Blue Star. 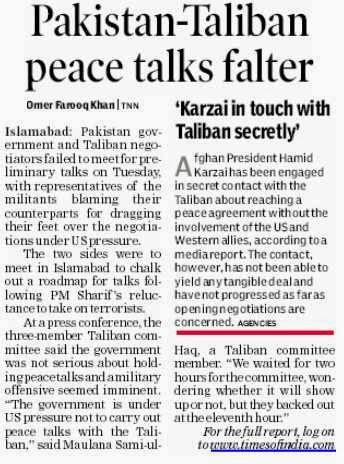 This is consistent with the public statement on 15 January this year by the operation commander, Lieutenant-General Brar, who said that 'no one helped us in our planning or in the execution of the planning'." The Heywood report said that the SAS officer visited India between 8 and 17 February 1984 and conducted a "ground recce" with Indian special forces of the Golden Temple. It says: "With a view to reducing casualties, the UK military adviser recommended assaulting all objectives simultaneously, thereby assuring surprise and momentum. The advice given to the Indian authorities identified sufficient helicopters, and the capability to insert troops by helicopter, as critical requirements for this approach. "The UK advice also focused on command and control arrangements, and night-time co-ordination of paramilitary with Indian special group forces." But it says there were "significant differences" between the plan proposed by the SAS and the eventual operation. The report tries to highlight the lack of British involvement in the final assault by publishing correspondence from Indira Gandhi, the then Indian prime minister, to Thatcher on 14 and 29 June. This makes no mention of British assistance. The Heywood report said there was no evidence that the SAS officer was sent to India to help defence sales to India. But Tom Watson, the former Labour minister, said that the Commons was told that a march to commemorate victims of the siege was cancelled on public order grounds. But he said that newly released cabinet minutes from the time said: "In view of the importance of the British political and commercial interests at stake it would be necessary to explore every possibility of preventing the march taking place. Export contracts worth £5bn could be at stake." Hague told Watson that the cabinet secretary was "making a different point about different events" because there is no evidence in the files that Britain provided military advice to boost defence sales. Douglas Alexander, the shadow foreign secretary, said: "Labour welcomes what light the cabinet secretary's report sheds on the allegations of British involvement in Operation Blue Star, but despite the publication of this report serious questions will continue to be asked. "It remains unclear, for example, why the government has today chosen to publish Mrs Gandhi's letter to Mrs Thatcher, but not Mrs Thatcher's letter to Mrs Gandhi. The pain and suffering still felt by many about the tragic events of 1984 places a particular duty on the government to provide what answers it can to address very genuine concerns." New Delhi: A havaldar has been recommended for dismissal from service in the 2011 Jorhat dacoity case while his commanding officer along with a woman officer have been served with punishment of 'severe displeasure' and 'reprimand' respectively. This was stated by Army Headquarters today as it dismissed claims that the two officers are under scanner following a purported sting operation suggesting that they were also involved in extra-judicial killings in Nagaland. On the alleged fake encounter by the same unit along with a Major of the 21 Para (Special Forces) unit, the Army Headquarters said the complaint letter written by a unit officer Major Ravi Kiran was inquired into by a Brigadier of the 3 Corps but "no merit was found". The dacoity incident took place in Jorhat, Assam on December 20, 2011 when Army Intelligence Unit personnel entered the house of a civilian defence contractor and allegedly stole money and mobile phones from there. 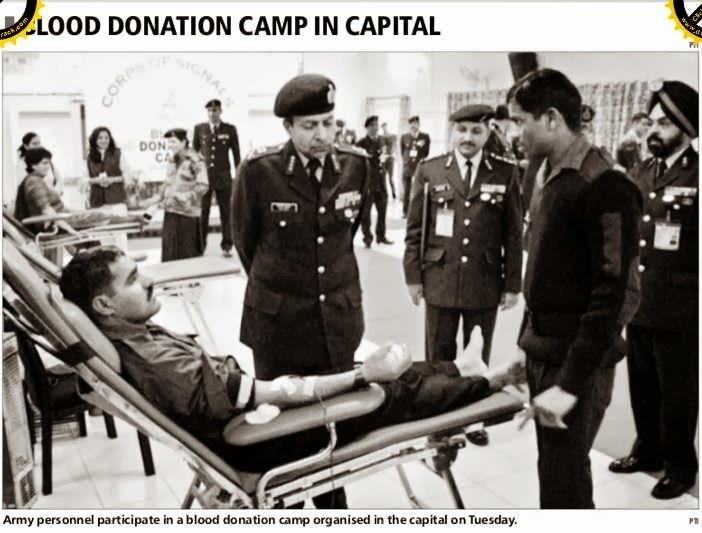 "Along with the action against the Havaldar, the lady Captain was given reprimand and the Colonel was awarded 'Severe displeasure," Army Headquarters said. The officials said the force has informed the Guwahati High Court about the developments in the court martial proceedings against the personnel of the 3 Corps Intelligence Unit. On the alleged fake encounter allegations, the officials said the Army was never been approached by the Nagaland police in connection with the death of the three Naga youths, whose decomposed bodies were found in Dimapur in Nagaland on March 20. The Army Headquarters also questioned the veracity of the alleged sting operation in which it is claimed that the 3 Corps Intelligence unit officers had held the wife of a commander of a terrorist group and sought a "levy" of Rs one crore in Dimapur in Nagaland. These cases had taken interesting dimensions in 2012 when the then Army Chief Gen VK Singh had put present Vice Chief of Army Lt Gen Dalbir Singh Suhag under promotion ban for alleged mishandling of the cases but it was revoked by his successor Gen Bikram Singh. New Delhi: After scrapping its Rs 3,600 crore chopper contract, the defence ministry today said it has ousted AgustaWestland and its parent group Finmecannica, facing bribery charges, from the biennial military exhibition Defexpo-14 starting Thursday by cancelling their bookings. 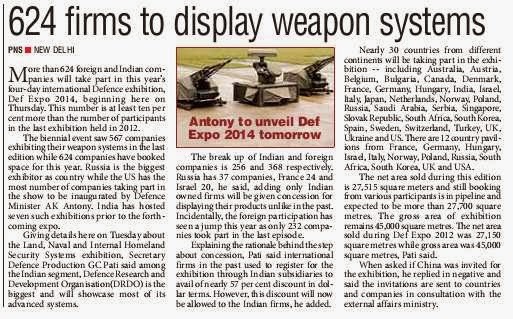 "Any firm which is facing any investigation or has been blacklisted, that company and its group firms will not be allowed to display their equipment at the Defexpo. AgustaWestland and Finmecannica had booked online for the show and their bookings were cancelled after we detected them," secretary (defence production) GD Pati said in New Delhi. "The defence ministry holds the right to cancel the booking of any such firms," he told a press conference on the biennial military exhibition Defexpo to be held from 6 to 9 February. 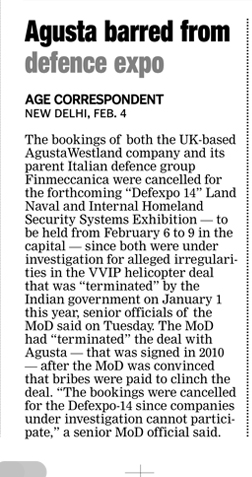 The defence ministry has cancelled the bookings of Finmecannica and its group companies including Oto Malera, WASS and AgustaWestland after the chopper manufacturing firm's contract was cancelled for supplying VVIP helicopters. The ministry had cancelled the contract on January 1 after it found the firm allegedly guilty of violating the pre-contract integrity pact. On the export potential of items developed indigenously by India, Pati said, "HAL has certain platforms such as ALH Dhruv chopper and Dornier aircraft, which can be used to penetrate the foreign markets including friendly foreign countries." Additional secretary (defence production) Ashok Gupta said the government was also working towards easing the norms for export licences for the public and private sector defence firms after holding consultations with all the stake-holders. To a query on whether India would be willing to supply military hardware to countries in South America which are not in good books of the US, Defence Ministry officials said if there are certain US manufactured equipment on the systems, then America's permission would be required. Asked if China was invited for the exhibition, Pati said the Chinese were not invited and the list of countries to be called for the show was decided in consultation with the Ministry of External Affairs. On the exclusion of Services sector from the list of avenues where offsets could be done, he said a committee under an additional secretary-level officer has been formed to look into the issue and it will review the fields in which offsets could be performed. Under the offsets clause, any firm bagging a deal worth over Rs 300 crore has to invest at least 30 percent of the worth of the contract back into the Indian defence, civilian aerospace and the homeland security sectors. To a query on whether Ordnance Factory Board (OFB) would continue to produce INSAS rifles, which are now being discarded by the Army, the secretary (defence production) said the facilities of the state-run organisation were being upgraded. He said the Services have been offered better versions of rifles and if these are approved by the users in trials, then the facilities would start producing the new weapons. The official said in 2012-13, OFB and PSUs together have produced military equipment worth over Rs 40,000 crore. Pati said that 624 exhibitors will take part in Defexpo, out of which 256 were Indian companies and 368 were foreign firms. The US, Britain, Russia, France, Germany, Hungary, Israel, Italy, Norway, Poland, and South Africa are participating in the exhibition. BEIJING — A three-ship Chinese navy squadron has concluded exercises in the Indian Ocean and sailed on to the western Pacific, showing off the growing reach of the country’s seagoing forces at a time of sharpening territorial disputes in regional waters. State broadcaster CCTV said Tuesday that the squadron includes China’s largest amphibious landing ship, the Changbaishan, along with a pair of destroyers. It said they reached the Indian Ocean on Jan. 29 and carried out a series of drills on the themes of counter-piracy, search and rescue, and damage control. Although not directly targeted at India, the exercises underscore China’s competition with the other Asian giant. India and China have clashed over their disputed Himalayan border and Beijing is a close ally of New Delhi’s arch-rival Pakistan. CCTV said the squadron passed through the Lombok Strait near the Indonesian island of Bali before heading north toward the Philippines. It is expected to return home through the South China Sea where Beijing is in a heated dispute with the Philippines and others over tiny islands, rich fishing grounds and a potential wealth of oil and other resources. China is also in a separate dispute with Japan over tiny uninhabited islands in the East China Sea that Tokyo controls but Beijing claims. In order to back up those claims and extend its influence, China has been systematically developing a blue-water navy that has global reach, including launching its first aircraft carrier. China has also sent ships to join anti-piracy patrols off the coast of Somalia and taken part in joint exercises in the Mediterranean Sea and elsewhere. The Changbaishan is one of China’s newest and most advanced ships, capable of launching helicopters and landing craft. In mid-February, the Finance Minister would present the Interim Budget 2014-15 to the Parliament in which he would seek Vote-On-Account (VOA) to enable the government to meet the essential expenditure till such time that a new government assumes power and present a regular budget. Although the VOA is of short-term relevance, the interim budget would nonetheless contain the estimates of both revenue receipts and expenditure for the full financial year. It is the prerogative of the next government to revise the estimates and present a regular budget as per its priorities it perceives. Defence being a major charge on the Union Budget, it is worthwhile to analyse the likely impact on it by the unfolding scenario. Some of the likely challenges that the defence ministry would likely to face are discussed as under. The first and foremost challenge that the defence ministry would face is the impending general election and its likely impact on the union budget as a whole, and the defence budget in particular. It is commonly viewed that in an election year, the incumbent government is tempted to present a populist budget. 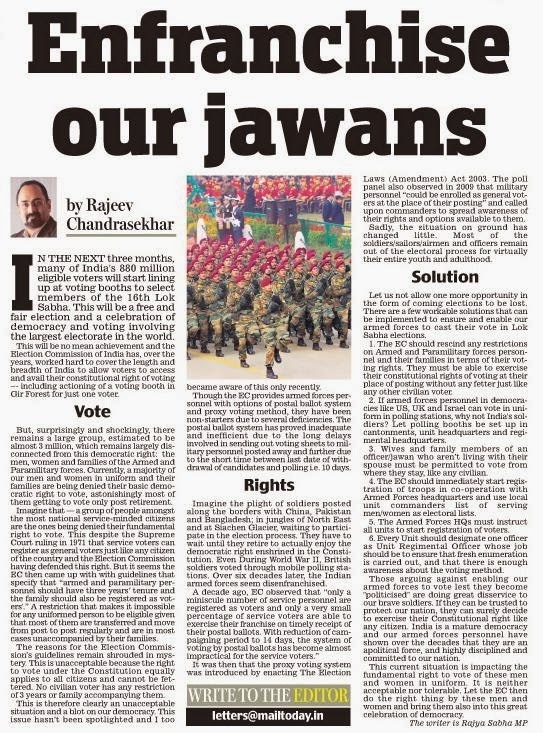 In that scenario, the Ministry of Defence (MoD) would have reasons to be unhappy, particularly so when the modernisation requirement of the Indian armed forces has reached a stage which is now contingent upon substantial additional resources to remain on course. Nothing would perhaps describe the grave situation better than the overwhelming share of committed liability (arising out of contracts already singed) in the MoD’s total modernisation budget. By 2013-14, the committed liability has reached 96 per cent (in comparison to 92 per cent in the preceding year), meaning that only four per cent (or Rs 2,956 crore) of MoD’s total capital modernisation budget (of Rs 70,489 crore) is available for signing new contracts. Any further tightening on the modernisation budget in the coming financial year would definitely affect the on-going modernisation process. Assuming that the government defies the common logic and provides ample resources to the defence ministry, there is still very little one can expect on the modernisation front. Since the number of days before a new government comes into power is limited, the incumbent government would unlikely to take decision on major armament programmes which have reached fairly a high stage of contract negotiation. Rather the responsibility to take decision on major acquisition proposals would be shifted to the new government which would also find it difficult to expedite the process given the various oversight concerns that often surround the defence procurement. 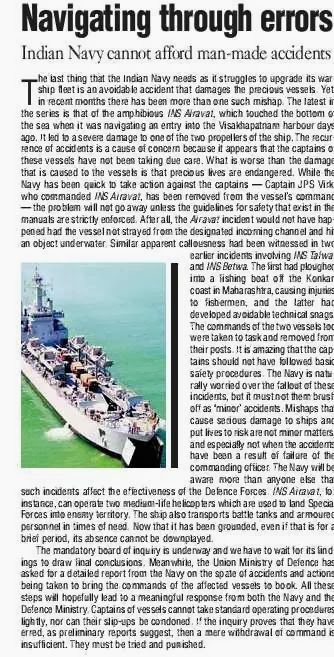 Given this scenario, the year 2014-15 may well be a year of inaction, as far as modernisation of the Indian armed forces is concerned. Some of the modernisation programmes which are likely to be subjected to this inaction are: the ultra-light howitzers and javelin programmes of the Indian Army; and the medium multi-role combat aircraft (MMRCA), heavy lift and attack helicopters, and tanker aircraft of the Indian air force. The second challenge that the defence establishment would likely to face is related to the growth prospect of the Indian economy. It is noteworthy to mention that the GDP growth for 2013-14 is expected to be around five per cent, which is lower than 6.1-6.7 per cent estimated by the government initially. The economic slowdown, combined with the tight fiscal situation has already led to tightening of the government purse. What is of more relevance is that the growth prospect in the coming years would also remain subdued although some improvement is expected. According to a recent UN report, the World Economic Situation and Prospects 2014, the Indian economy is likely to grow by 5.3 per cent and 5.7 per cent in 2014 and 2015, respectively. This is in stark contrast with the high annual growth rate of 8-9 per cent registered few years ago. While the subdued growth prospect of the Indian economy in the coming years would limit the spending capacity of the government of the day, it would, at the same time, have a major consequence on the defence. It is to be noted that current phase defence modernisation, which is an offshoot of the armed forces’ long term integrated perspective plan (LTIPP) 2012-27 and the Five Year Capital Acquisition Plan, is premised on a high economic growth rate (7-8 per cent annually) and a larger share (around three per cent) of the GDP on defence. Compared to this optimism, the economy forecast is rather gloomy and, the share of defence in GDP is not expected to be drastically different from the current 1.76 percent. Given this, mismatch of a huge proportion is expected in the coming years between the expectation of the armed forces and what the government could actually provide to meet such expectations. 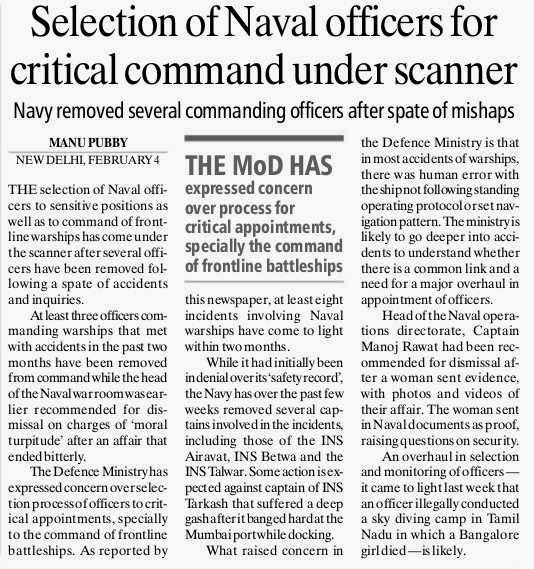 What is of significance to debate here is that the MoD does not have an institutional mechanism to address the challenges expected in the coming years and prioritise its modernisation plan accordingly. It is to be noted that the modernisation approach followed by the MoD so far is something like a ‘first come first serve’ (i.e., a service which succeeds in processing its procurement proposal first, gets the government approval. It does not give due importance to the needs of other service (s) which may be of greater significance but is struck in the bureaucratic process). This may serve the procurement requirement of a particular service, but may not be an ideal solution to address the modernisation issue holistically, keeping in view the resource constrain. 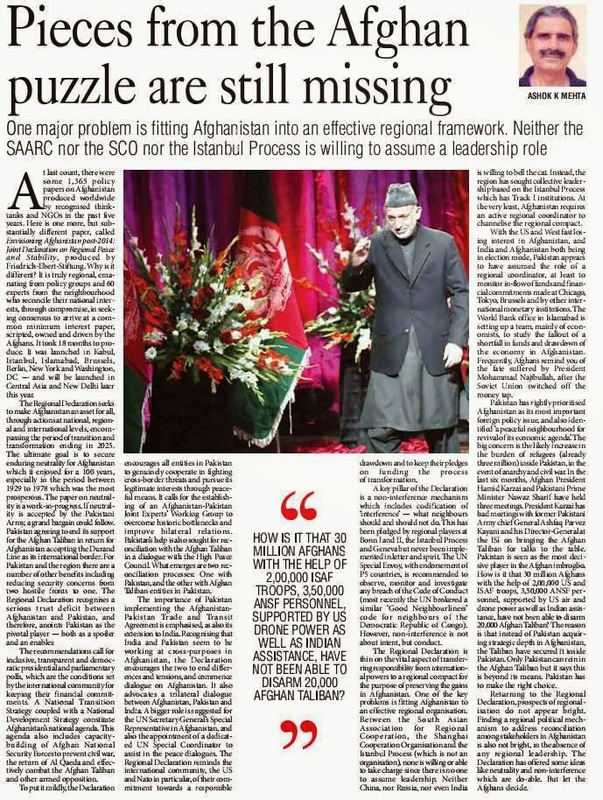 Since the challenges, as discussed above, are serious, what the MoD needs now is to have an institutional capability to prioritise its modernisation plan keeping in view the likely shortage of funds and the vital security requirements of the country. NEW YORK: China already spends more on its military than any country in the world except the US Now, as defense budgets at the Pentagon and in many NATO countries shrink, China's People's Liberation Army is gearing up for a surge in new funding, according to a new report. China will spend $148 billion on its military this year, up from $139.2 billion in 2013, according to IHS Jane's, a defense industry consulting and analysis company. The US spends far more - a forecast $574.9 billion this year - but that is down from $664.3 billion in 2012 after budget cuts slashed spending. By next year China will spend more on defense than Britain, Germany and France combined, according to IHS. By 2024, it will spend more than all of Western Europe, it estimates. The surge in weapons spending by Beijing - military outlays this year are set to be a third higher than in 2009 - has come in tandem with an escalation in tensions with its neighbors over long-standing territorial disputes. Vietnam and the Philippines have overlapping claims with China to islands and shoals in the South China Sea. Japan and China have been at loggerheads over uninhabited islands in the East China Sea. The extra spending has bought some flashy hardware. In 2012 China commissioned its first aircraft carrier - the Liaoning - built from the hull of an uncompleted ship ordered by the Soviet navy in the 1980s. In 2011 a Chinese-made aircraft with stealth radar-evading capabilities flew on a test flight as Robert M. Gates, then the US defense secretary, was in Beijing on an official visit. Yet the Chinese military - controlled by the ruling Communist Party, not the government - has been plagued by corruption scandals that may sap its fighting effectiveness. Seven decades ago, Gen Joseph W Stilwell of the US was frustrated by corrupt Chinese generals who were often more interested in lining their pockets than fighting the Japanese. Last month the Chinese magazine Caixin detailed allegations about the extravagant lifestyle of Lt Gen Gu Junshan, a deputy head of the People's Liberation Army's General Logistics Department. Among the items confiscated from his villa complex were a gold wash basin and a gold statue of Mao Zedong, Caixin reported. Gu also allegedly owned 10 homes in central Beijing, where apartment prices regularly top $1 million. One military analyst, Ian Easton of the Project 2049 Institute in Arlington, Va, believes that China's military is far less capable than its large military budget would suggest. Last month he wrote that the PLA probably wouldn't be able to effectively attack Taiwan - the prosperous, self-ruled island claimed by the mainland. In addition, Chinese troops lack real combat experience and some of the PLA's marquee projects, including the aircraft carrier, are plagued by technical problems. Chinese pilots are using the Liaoning - its overhaul easy to monitor over the years from the fire escape at an Ikea furniture store in the northeastern Chinese port of Dalian - as a training platform to learn aircraft carrier operations. The US Navy, which has had aircraft carriers in its fleet since before World War II, currently has 10 active nuclear-powered carriers, all larger than the Liaoning. China is set to release its military spending for 2013 and its forecast for this year at the annual session of the National People's Congress next month in Beijing. The IHS figures may differ from official figures because they take into account items including research and development spending and pension costs that may not be reflected in China's own estimates. It is a sad tale of a soldier in a state of destitution because of being abandoned by the system. A Major of the Indian Army who was framed in a false case and dismissed from service by a court martial in 2003 has been reduced to penury in his fight for justice. 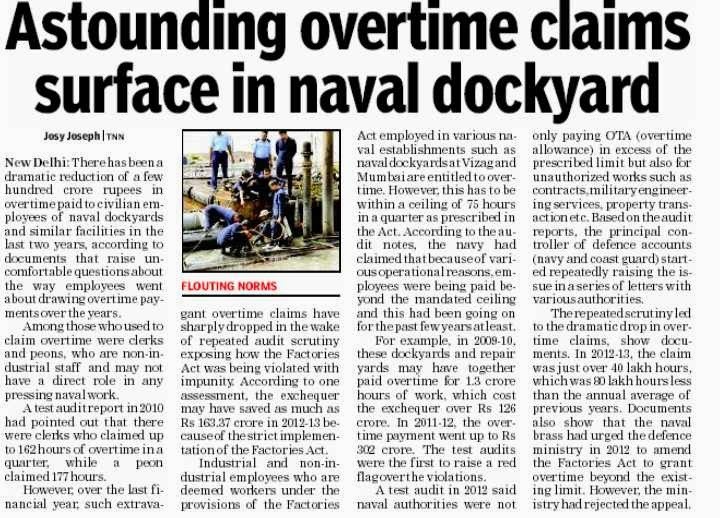 Despite the fact that his dismissal has been set aside by the Armed Forces Tribunal and he should receive all his pay and pension arrears, the callous bureaucracy within the Ministry of Defence steadfastly refuses to give him his due. Major Bhajan Singh Malhi served in the Army for more than three decades. He joined the Army as a Jawan in December 1971. Steadily rising through the ranks he first became a Junior Commissioned Officer in the Regiment of Artillery and then a commissioned officer attaining the rank of Major. In 2003, he was framed in a false case of demanding a bribe and was dismissed from service by a court martial. Today, he is a broken man. Having fought a tough legal battle against his conviction and having won it, he is still to get his dues, courtesy a heartless bureaucratic system which refuses to do so. The Chandigarh bench of the Armed Forces Tribunal set aside the dismissal of Major Bhajan Singh in 2011 after he found that he had been wrongly convicted. The Tribunal ordered that Major Bhajan Singh should be deemed to have been reinstated in service in 2003 and retired in 2005 as he should have in due course and that all his dues should be paid in six months time. But three years after that judgement, the Major is still waiting. And in all these years he has virtually come on the roads. His family has deserted him and he lives in a dilapidated tube well in his native village near Ludhiana. Incoherent at times because of the toll on his mental health he does not have any access to facilities any ex-servicemen who has put in 32 years of service would have. No health benefits, no canteen benefits, no pension, no provident fund. The once proud soldier today stands devastated in his dingy surroundings. Yet he does not blame the Army, blaming only the babus, who do not implement court orders. "I do not blame the Army for this. I blame the babus in this system who do not implement the orders of the lower courts," he says. Inexplicably, instead of implementing the orders of the AFT, the MoD decided to move the Supreme Court against the relief given to Major Bhajan Singh and despite the fact that no stay was granted on the order by the Supreme Court, they refused still to release his benefits. And now, even when the appeal filed in Supreme Court has been dismissed, the heartless system still refuses to pay up. According to Major Navdeep Singh, a prominent advocate handling military cases, the treatment of Major Bhajan Singh nothing short of shabby. "It is a sad and unfortunate case. Here is a retired Major and look at the state he is in. Since 2003 he is on roads. 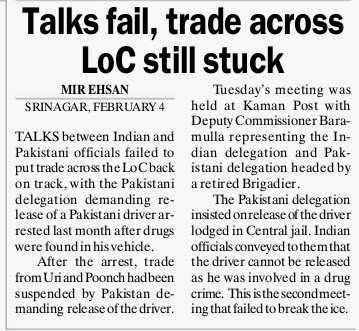 The problem is the way judgements are being totally ignored by the MoD and the Army in some cases. Here is a judgement which came in 2011 and they just did not implement it saying that they intend going to the Supreme Court. Now this does not mean that a stay is granted. Without even a stay they just did not implemented, now the judgement has been upheld they still have not given benefits. 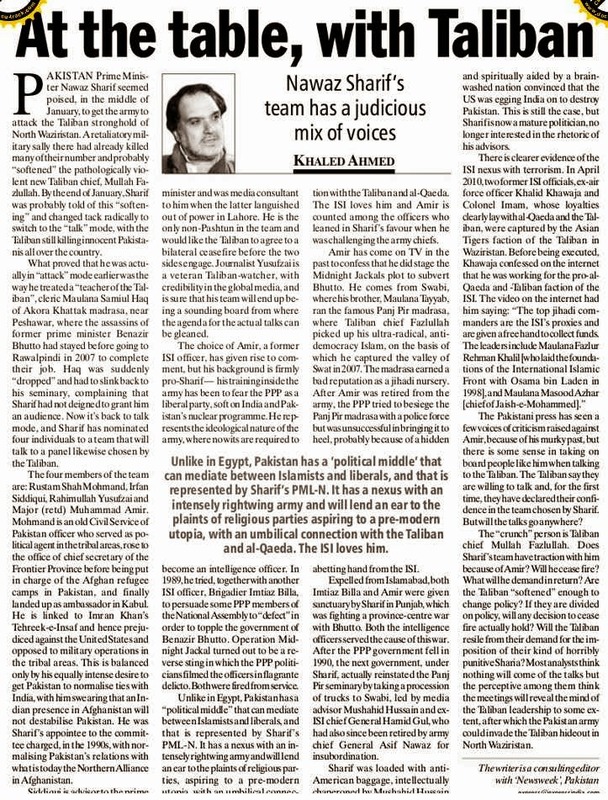 The judicial majesty has to be imposed on these people or else there will be complete chaos," he says. In the meantime, the Major is resigned to his fate. Lapsing into bouts of silence, living at the mercy of the villagers. Waiting for the elusive justice.